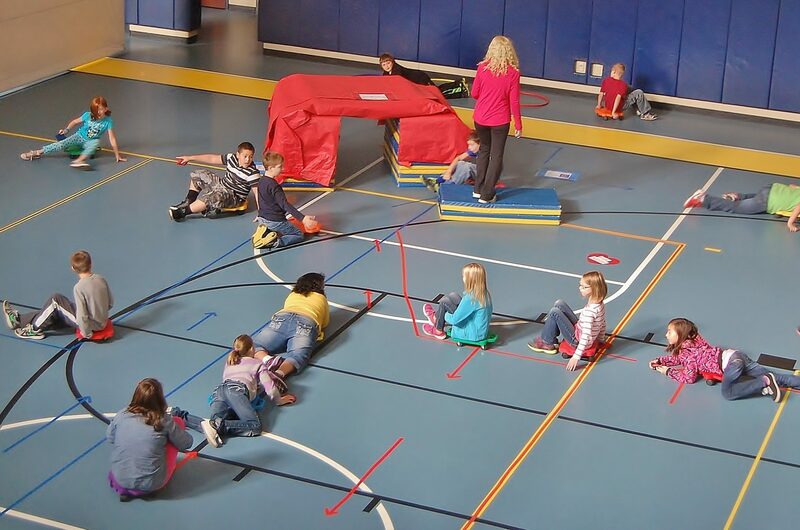 Central Manor Elementary School physical education teacher Dawn Janssen has a novel way of teaching kids about the cardiovascular system – by having them replicate the flow of blood through a giant body on the gymnasium floor. 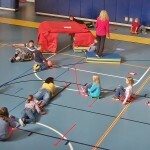 The lesson, taught to students in grades one through six at Central Manor Elementary School, transforms the gym floor into a human body, with the heart in the middle, the lungs on either side, the brain at one end and the feet at the other. The floor is marked with red, blue and yellow tape indicating the path that blood follows as it courses through the lungs, picks up oxygen, converts it to carbon dioxide then continues to nourish the body’s vital organs. The students first follow the markings on foot, then hop on scooters to traverse the course at a faster pace for a better workout, making sure to duck through the tunnel representing the aorta. They also learn about the four “rooms” in the heart – the left and right ventricles and left and right atria – and the crucial role that oxygen and carbon dioxide play in keeping a body healthy. According to Janssen, the goal is for all students to understand the importance of the cardiovascular system by learning basic anatomy and demonstrating the basic functions of the system through movement. 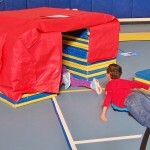 Older students also use red and blue bean bags to learn about the exchange of carbon dioxide and oxygen and how exercise and proper nutrition, or lack thereof, impact wellness. The lesson was “highly captivating,” said Jon Eshleman, an aide to one of the students in Janssen’s class.